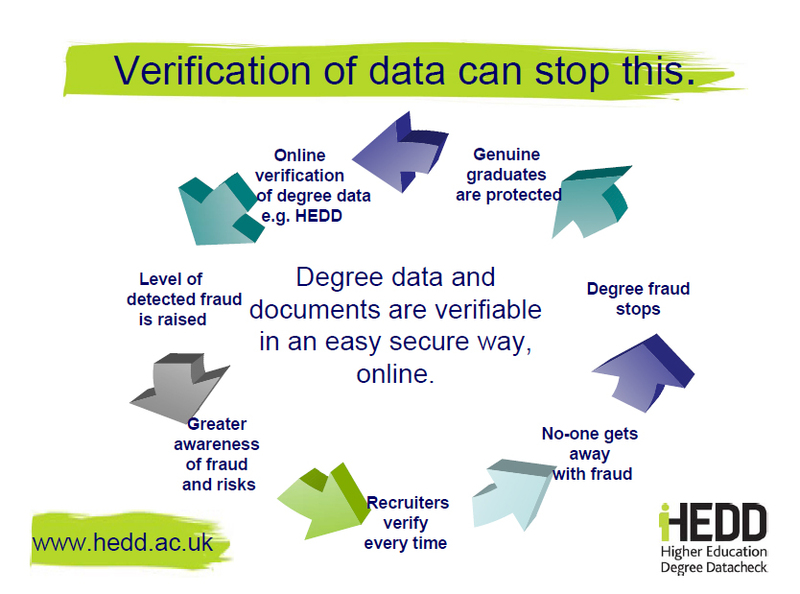 As another fraud case made headlines last week – I’m amazed that people are still so blasé about verifying qualifications, when you see the consequences of not checking. 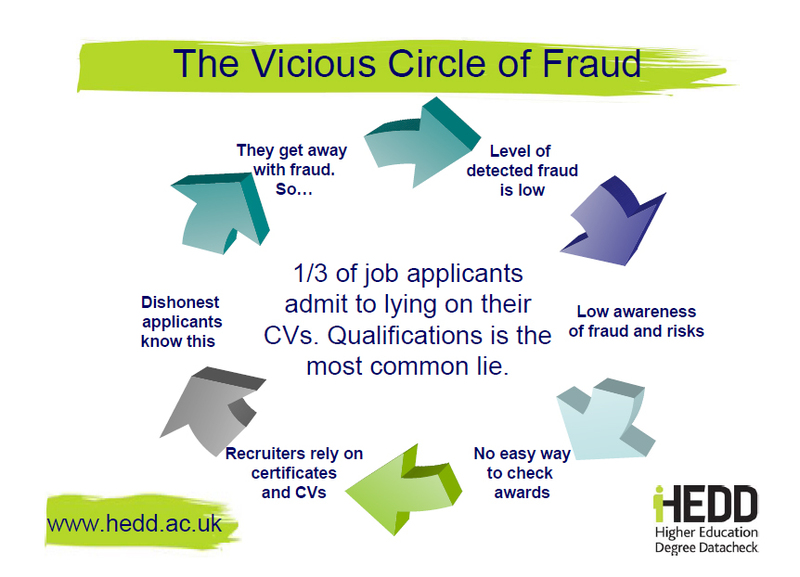 Every survey on CV fraud comes up with the same stats – about 1/3 of candidates lie on their CVs – and qualifications are the most common lie. But if this is the case, why aren’t we reading about it every day? Why aren’t these people paraded through the streets in shame? Answer: because the levels of detected fraud are low – only about 500-600 cases a year according to research. So, because we don’t read about it every day, there’s very low awareness that it’s happening and also low awareness of the risks to our organisations. If we hire someone who’s prepared to lie to get the job, what would they be prepared to lie about when they are in the job? What does it say about their integrity? With no easy way to check and low awareness of risk, recruiters trust applicants and, even where they ask to see a degree certificate, nearly all of them just take a copy and file it. Forums, polls and online chatter around CV disclosure all confirm that applicants don’t think checks are made. We polled final year students last summer and 2/3 said that they thought the increase in tuition fees and pressure in the job market would make embellishing their qualifications or buying a fake certificate more tempting. Their views are confirmed as time after time, recruiters don’t check with the awarding body, and they don’t get found out. So if they’re getting away with an inflated 2:1, why not add a Doctorate or a teaching certificate? The fraud goes undetected, and we’re right back where we started, with businesses at risk from unqualified, dishonest staff, and genuine graduates potentially missing out. Only one thing needs to change to stop this from happening. Everyone needs to check, every time. Levels of detected fraud will go up. Awareness of fraud and its risks will increase. More people will make checks. No-one will away with it.